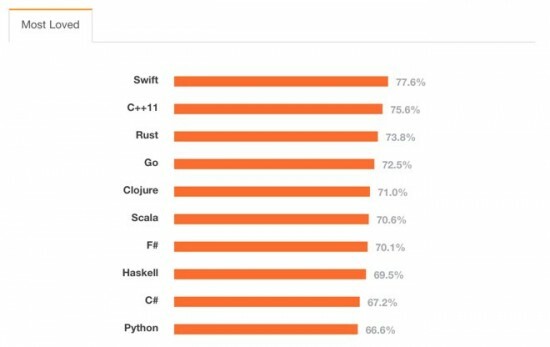 It’s been almost a year since Apple’s release of it’s Swift language, and since then it’s been utilized by companies like LinkedIn and universities like Stanford and SMU-essentially taking the lead as a favorite among software development languages, surpassing popularity of Scala, Clojure, C#, and Python among developers. Apple’s goal was to ultimately provide a more efficient tool when creating applications and believed that less time should be spent on cumbersome implementation details. Swift has boosted productivity by simplifying the most mundane of tasks and is really, er, swift compared to its predecessor, Objective-C. Since Swift’s update, its compiler works better with Apple’s existing SDKs, boasts error handling functionality, syntax improvements, whole module optimization, and Apple has announced that it will be open source and offer ports for OSX, iOS, and Linux. Mac OSX was the operating system of choice for 22% of respondents of the 2015 Stackoverflow Developer Survey, taking the middle spot between Microsoft’s Windows 7, favored by 39%, and Linux’s 21%.